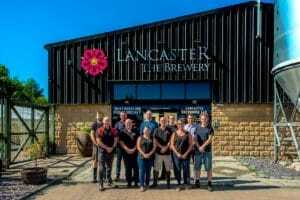 Award winning Lancaster-based brewer and regional leisure venue operator, Lancaster Brewery, has filed record pre-tax profits of £667,102 in 2017/2018 – up 88% year on year – and has announced significant investment plans for 2019. Lancaster Brewery, which owns top Lancashire and Cumbria hospitality venues including The Brewhouse & Tap and The Sun Hotel & Bar in Lancaster, The Mill at Ulverston, and The Duke of Edinburgh in Barrow, saw strong profits across the group. Much of Lancaster Brewery’s record profits were down to improvements made in the brewing plant over the past seven years – such as new cooling air systems, conditioning tanks, the SALSA accreditation and a raft of other projects – that have led to consistent quality levels and resulted in boosted sales of its cask and bottled beer across the UK and overseas. The group has continued its policy of investing around 80% of total profits into venue improvements, long term debt repayment and exploring new brand ventures. 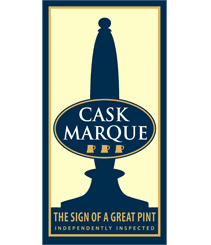 Investment within the brewery during the last financial year included new brewing kit, new delivery vehicles and a significant increase in the cask population. Across its venues, 2017/2018 saw a continuation of its rolling bedroom improvement programme, the addition of new state-of-the-art kitchens at The Sun Hotel & Bar and The Duke of Edinburgh, and a new reception area at The Duke of Edinburgh. In addition, a sizeable investment was made in the company’s online profile, website and social media presence. Large sums were also invested in developing the Brewery’s export market with new customers in Asia and Europe. For 2019, Lancaster Brewery’s tenanted pub, The Palatine, is to receive considerable funding early in the year, while The Sun Hotel & Bar, The Duke of Edinburgh, and The Mill at Ulverston, will be given substantial investment as part of the company’s determination to continually evolve and improve all of its venues. There are also significant plans currently in development to further improve and evolve Lancaster Brewery in 2019/20.